NOTE: Whilst we do our very hardest to ensure that advertised guests do attend TEKCamp, we cannot guarantee their attendance. 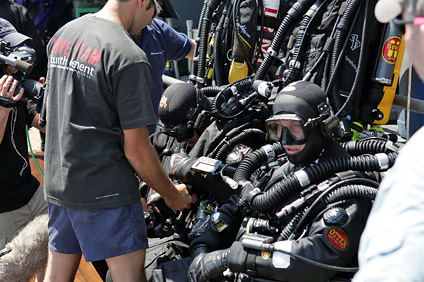 Over the years, TEKCamp has played host to some of the biggest names in technical diving. 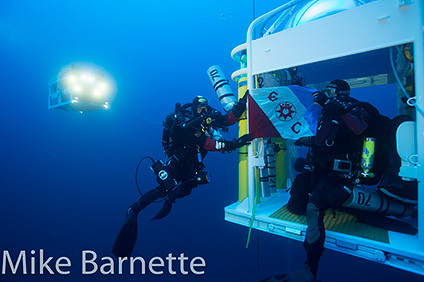 Like us, they share the same desire to educate and inform the next generation of diving explorers. Supplementing our already impressive line up of instructing talent, our headline guests are leading experts in their field. They're the guys who literally wrote the book on technical diving - true pioneers and leading lights that define our sport. TEKCamp represents a 'once in a lifetime' opportunity to learn from, train with and simply meet and chat with these diving luminaries. Can you afford to miss out? We're very pleased to welcome one of the biggest names in deep wreck exploration to this year's TEKCamp - Edoardo Pavia. A popular speaker at technical diving conferences around the world, Edoardo will not only be speaking at TEKCamp but will be getting actively involved in the diving workshops - this could be your opportunity to dive with one of the world's most experienced deep wreck explorers! When he's not in the water teaching, Edoardo promises to wow us with stories of the many exciting dive expeditions he has been involved in. Of particular interest to TEKCamp visitors will be his talk all about diving the RMS Britannic - the sister ship of the infamous Titanic. Sunk in the Kea channel off the coast of Greece during the height of the First World War, the Britannic lies in 120 metres of water in a stretch of water notorious for its strong currents. Edoardo will reveal what goes in to mounting an expedition to visit this protected site and what it's like to dive this historic shipwreck! If you're looking to be inspired, this is the talk for you! Edoardo experienced his first dive in the mid 80's but it wasn't until 1996 that he was bitten by the rebreather bug after a dive on a Drager Dolphin in Papua New Guinea - two years later, he completed a MOD1 course on a closed circuit rebreather. In 2000, Edoardo established Sea Dweller Divers, a technical shop and diving school specialised in selling technical dive equipment. In 2002 he became the distributor for AP Valves CCR in Italy. Fuelled by his passion for diving, Edoardo achieved a rapid career advancement as an instructor and then as Instructor Trainer for IANTD, one of the world's leading technical training agencies. Edoardo is committed to deep diving and underwater filming and has participated in some of the most challenging expedition. He has visited the Britannic on four separate occasions. He has also dived the Andrea Doria, the famous Victoria 'vertical wreck' in Lebanon, several times on the Viminale and the infamous RMS Carpathia which lies at a depth of 155m+. He has also dived the Antarctic continent and is a keen cave diver. Few of us will ever get the opportunity to be one of the very first divers to locate, identify and explore a historically significant shipwreck in 100m+ of water but deep wreck explorer Leigh Bishop has been there many times! Regarded as one of the world's leading deep wreck explorers and a pioneer in deep wreck photography, we're very pleased to welcome Leigh to TEKCamp 2016. Leigh will be spending several days onsite at TEKCamp to share his knowledge and experience of deep wreck diving with TEKCamp attendees. 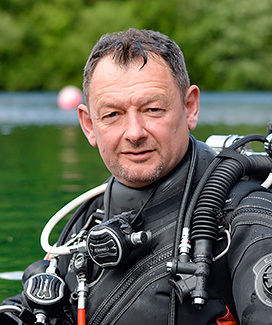 The highlight of his attendance will be a very special 'keynote' presentation during which Leigh will offer a fascinating look into the world of deep wreck diving through the eyes - and camera lens - of one of the world's best-known shipwreck explorers. From the renowned RMS Britannic (sister ship of the Titanic) and Lusitania, the infamous Flying Enterprise and the liner Transylvania to the lost bullion wrecks Egypt and Niagara, Leigh has dived - and photographed - them all! Leigh has also visited the most famous wreck of them all - the RMS Titanic - onboard a MIR Submersible. TEKCamp 2016 attendees can look forward to some genuinely exciting 'boys own' adventure stories accompanied by some genuinely jaw-dropping photography - For fans of (rusty) heavy metal, Leigh's attendance at TEKCamp 2016 is an opportunity not to be missed! Leigh Bishop has been exploring shipwrecks since the 1980's and was a pioneering mixed gas diver in the early days of technical diving. He has been a member of countless deep wreck expeditions and has dived the Britannic, Lusitania and many other famous shipwrecks lost in history. 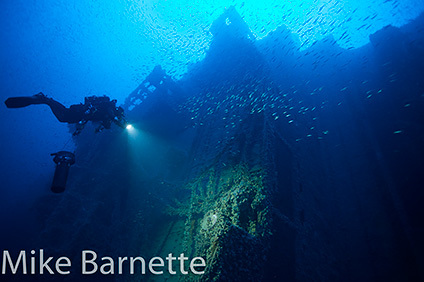 He continues to dive in the English Channel and has explored an estimated 400+ virgin shipwrecks. 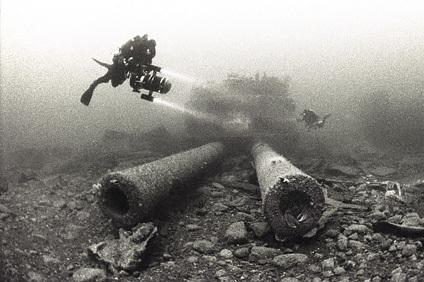 His time exposure photography of deep wrecks is well known and he is regarded as one of the worlds foremost shipwreck photographers. He is a prolific writer on the subject globally and has appeared in many television documentaries. 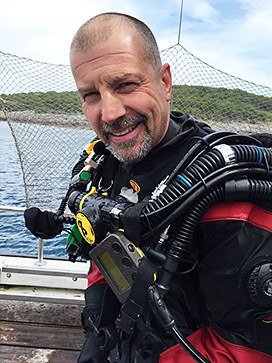 He is the co founder and creator of the EUROTEK Advanced Diving Conference - the premier technical diving conference in the Northern Hemisphere. Leigh is currently hard at work on a number of exciting book projects.